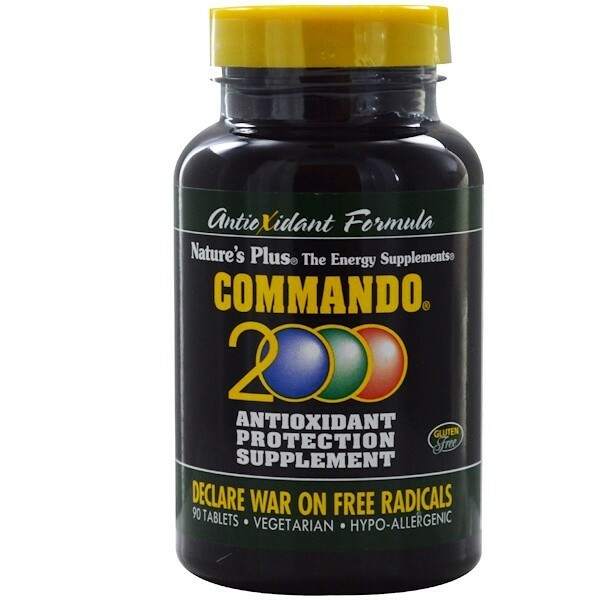 Commando 2000 is a unified force composed of the world's most powerful antioxidants, including Vitamin C, Beta Carotene, Vitamin E, the OptiZinc brand of Zinc Monomethionine, Pycnogenol, Amino Acids and Standardized Herbs. **OptiZinc is a registered trademark of InterHealth N.I. Other Ingredients Microcrystalline cellulose, di-calcium phosphate, silica, stearic acid, magnesium stearate, carrot, dunaliella salina, maritime pine bark extract, plant enzymes (catalase, glucose oxidase and peroxidase), broccoli, green cabbage, cauliflower, tomato and pharmaceutical glaze.Free from artificial colors and preservatives. 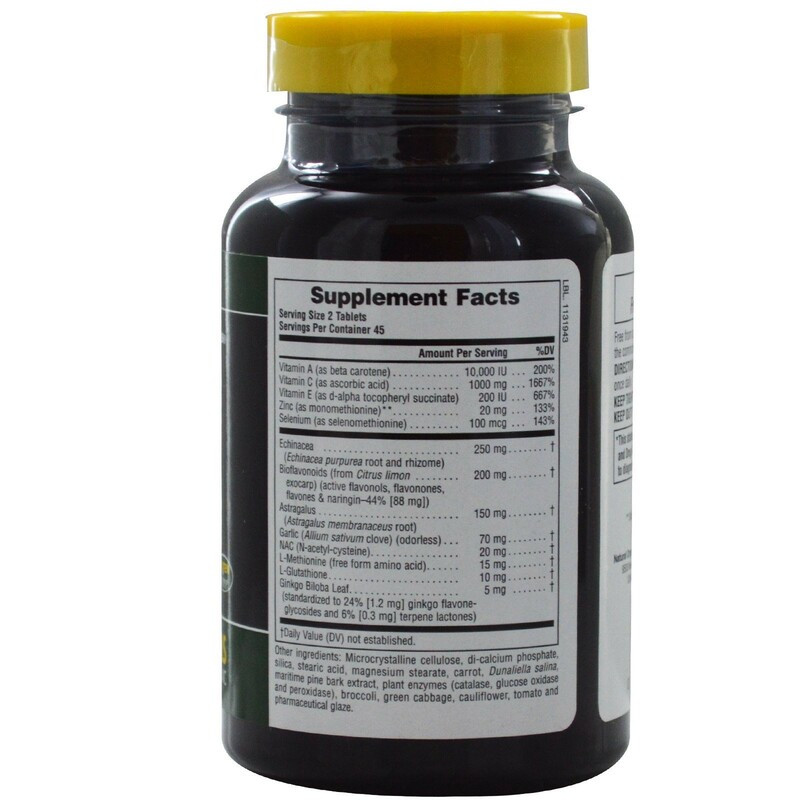 Free from the common allergens yeast, wheat, soy and milk. 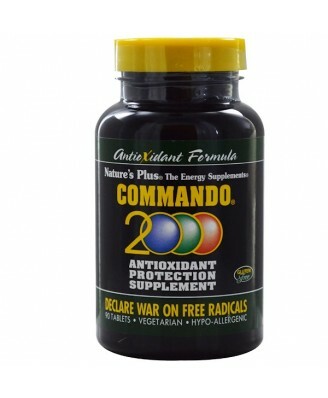 Commando 2000 is a unified force composed of the world's most powerful antioxidants, including Vitamin C, Beta Carotene, Vitamin E, the OptiZinc brand of Zinc Monomethionine, Pycnogenol, Amino Acids and Standardized Herbs. Arm your body today! Nature's Plus always uses the most current, controlled techniques to prevent the damaging effects of moisture, light and oxidation for allits products.